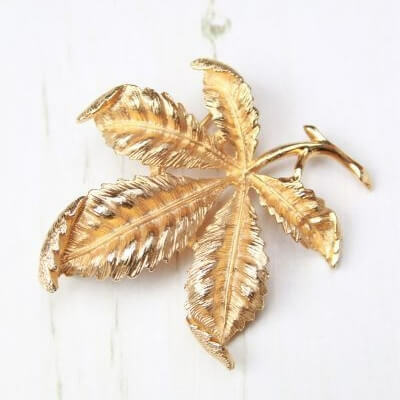 Description: Here we have a lovely fully signed Sarah Coventry brooch dating to around 1970, this is a stylised leaf which most represents a chestnut leaf. 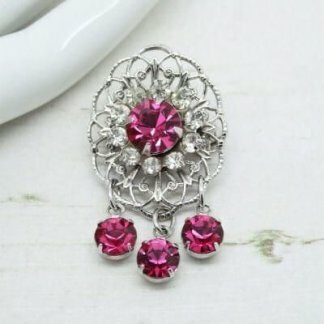 I’ve been unable to find a design name for this piece or any that are currently available. 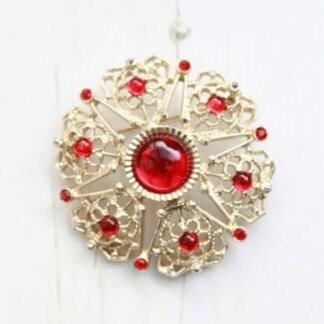 The brooch measures 6cm tall, it’s the perfect size for a lapel & would add a classic vintage style to any outfit. Complete with a strong roll lock clasp to the back. In great condition showing slight to no wear.